Quadrum Global is planning to develop a 26-story, 500-key hotel in the Garment District, an area teeming with boutique hotel options. The London-based private equity investment firm partnered with prolific budget-stay hotelier Sam Chang last year to buy the site of a two-story office building at 351-353 West 38th Street. Each firm paid $56 million, records show. The plan was to subdivide the site, which offers a total of 250,000 buildable square feet, into two hotels — one to be developed by each party. 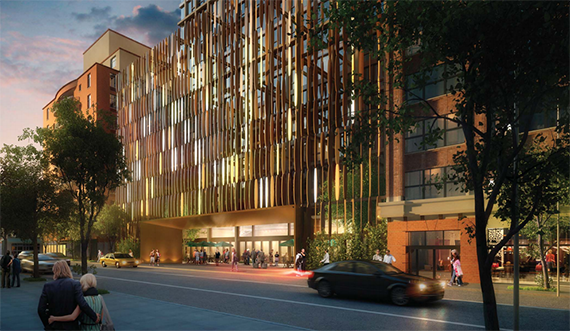 Quadrum’s planned hotel will span 125,000 square feet. If the firm receives a city approval to buy additional air rights, the proposed property could swell to 150,000 square feet, Quadrum CEO Oleg Pavlov told The Real Deal. After the existing office tenants vacate next year, the developers plan to begin demolition and then break ground. In contrast with the Garment District’s bevy of older construction, limited-service hotels, Quadrum is envisioning a more modern hotel with compact rooms, Pavlov said. The site, located near Ninth Avenue, boasts a total of 125 feet of frontage on both West 38th and 39th streets. Quadrum’s hotel will rise on 38th Street, while Chang’s will rise on 39th Street. Chang’s hotel plans for his half of the site are unclear. No plans for either project have been filed yet with the city’s Department of Buildings. Jonathan Marvel’s Marvel Architects is serving as the architect for Quadrum, which also hired JLL’s Edouard Schwob to advise the firm on the selection of a hotel operator or potential development partner. Just next door to Chang’s 39th Street portion, he is planning to build a 25-story, 175-key Pestana hotel, at 338-340 West 39th Street. 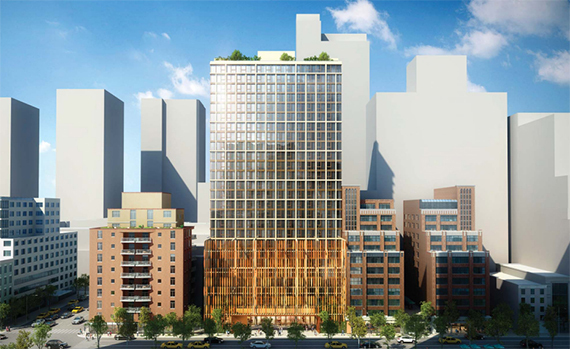 Quadrum, which also has offices in Midtown East and Miami Beach, is developing an 18-story rental building on the Upper West Side and a 250-key Tommie hotel in NoMad. Both are in partnership with Simon Baron Development.